RVing is wonderful in so many ways. You get all the wonderful wildness of the open road along with the comfort and convenience of having your own special place to hunker down after a long day of adventuring. 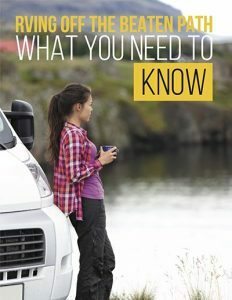 But as anyone who’s taken even a single trip in a motorhome or travel trailer knows, when you’re traveling by RV, you’ve got to expect the unexpected. Now, that “unexpected” may come in the form of an amazing destination you’d planned on passing right by, which you discover one fateful afternoon as you’re making what you thought was a quick gas stop. But in some cases, the unexpected also presents itself in the form of… well, problems. And some of those problems can be costly and time-intensive to fix. Read on to learn about some of the most common RV problems, and the RV troubleshooting steps you need to take to hopefully solve them. 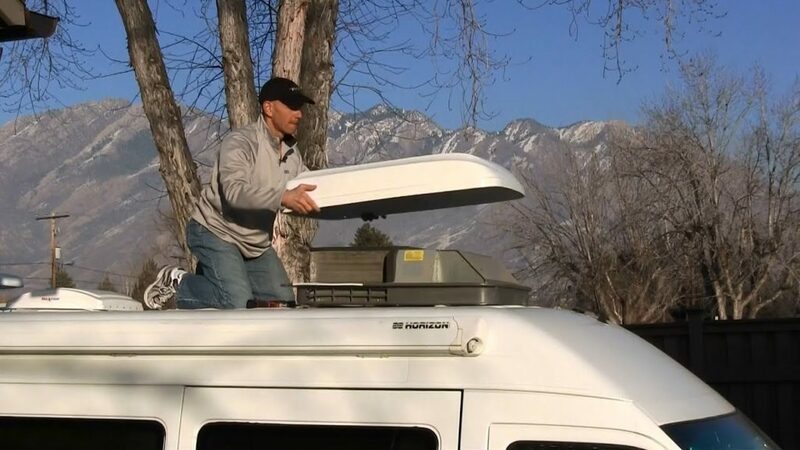 While it would be impossible to create a comprehensive list of all the RV problems it’s possible to encounter, some rear their frustrating heads more often than others. Here are a few of the most common categories of RV problems, including specific issues and how to fix them. And although our temperature control technology is pretty amazing these days, if you own a travel trailer or motorhome, chances are you’re going to run into an AC issue or two in your time. Fortunately, there are a few common RV HVAC problems that are relatively simple to troubleshoot. If you find yourself sweating (or shivering, depending on the season), here are a few quick tips to try. Check your air filters. We all know it’s important to regularly replace the air filters on any AC unit, whether in your RV or in your sticks-and-bricks home. Otherwise, you’re breathing all the gunk you see accumulating on the filter… no good. But a clogged air filter can also affect the efficacy of your cooling system, choking the airway and leaving you without that cool, refreshing breeze. Fortunately, replacement RV AC filters aren’t hard to come by or expensive — depending on your model’s exact requirements, you can find four-packs for less than $10. The replacement itself is a breeze, too; just pop the cover off, take out the gunky one, and stick the new one in. If that doesn’t work, however, there are still more RV air conditioner and furnace troubleshooting step to take. Next up, we’ll check the thermostat. Although the AC itself might seem like the problem, sometimes, an ill-performing unit is actually just the symptom of a much simpler issue — a broken thermostat. If the control unit is on the fritz, it can’t properly tell your HVAC unit what to do. You can figure out whether or not the issue is with the AC itself or the thermostat by testing it with a volt ohm meter, which will tell you whether or not your cooling system is powering up at all. But if you don’t have a meter lying around, you can also bypass the thermostat by cutting the power, removing the thermostat from the wall, connecting the wires, and powering the unit back up to see if it fires. For full details on how to perform a thermostat bypass, click here — and as with any RV electrical troubleshooting, don’t hesitate to reach out to a qualified professional if you’re at all unsure about how to safely proceed. If the thermostat’s okay and your filters are clean, you might have a freon leak. Freon is the chemical your RV’s AC unit uses to create cold air. When freon leaks occur, you might see ice deposits around your AC unit, even though it’s failing to cool the interior of the rig. Look for the source of the leak, and if you can find it, repair it; but keep in mind that sometimes you won’t find an active leak, and that’s okay, too. Top off your unit’s freon levels and see if that fixes the issue. Don’t forget, when it comes to your RV’s HVAC system (and pretty much every other system onboard, as a matter of fact), prevention is 90% of the cure. Maintain a regular maintenance schedule and be sure to regularly clean your RV’s HVAC unit, and chances are any repair issues you encounter will be minor and easily solved. When you’ve gotta go, you’ve gotta go — and that, uh, goes for your RV, too. And that’s exactly why it can be such a bummer to encounter plumbing problems, which can turn a carefree vacation into a sticky, or even stinky, situation. There are a few different approaches to take when it comes to RV water pump troubleshooting, and figuring out what’s going on with your plumbing system as a whole. If you’re having problems with flushing the toilet or otherwise making wastewater go down, the issue could be a simple as one you’re likely familiar with from home: a clog. 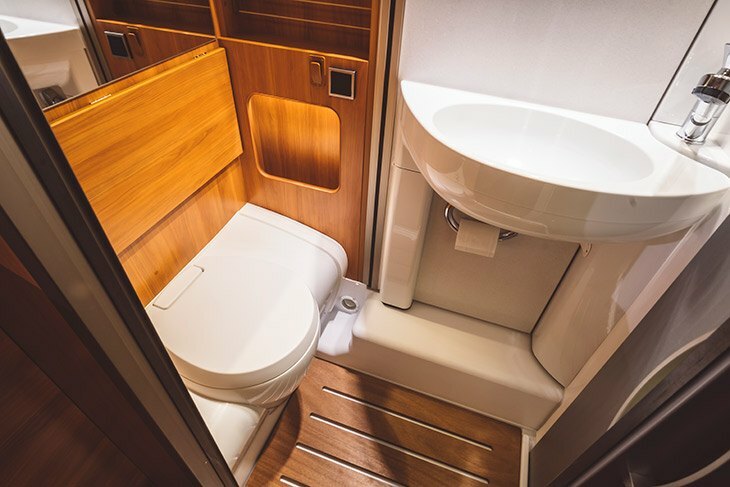 There are a few different ways to take care of a clogged RV toilet, including using a flexible toilet tank wand and also trying to clear the clog with boiling water. 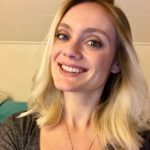 For all the relevant details, check out this RVshare post. For issues more specific to the water pump itself, assessing the symptoms is a good way to get a sense of what the problem is — and therefore, how to fix it. Check your tank’s levels and then, if you’ve got an ample supply, look over all the easily-accessible water lines. If you sy a kink or a leak, that’s probably your issue. Beyond that, you’ll have to dig deeper into the RV’s guts, looking for leaks in interior plumbing fixtures or pump-specific problems like a cracked housing or stuck backflow valve. In most cases, you’ll be able to clean or repair a single element of your water pump rather than needing an all-out replacement — and yet again, proper maintenance and prevention is key. One of the best ways to avoid RV plumbing problems? Be sure to take the time to properly winterize your RV, whether you’re traveling or letting it get a nice long winter’s rest. If there’s water in your tank when Jack Frost arrives, it can easily freeze… and as we all remember from seventh grade science class (and the first time you had this problem in your home), as water freezes, it expands, wreaking potential havoc on your pipes. Along with keeping the tank empty as winter approaches, you should also flush your system with RV antifreeze. For full details on proper winterizing techniques, read this RVshare article. We all love RV slide-outs for their ability to make our rigs that much more spacious and comfortable when we’re set up at camp. But at the same time, we’re talking about moving an entire room (or at least part of one). 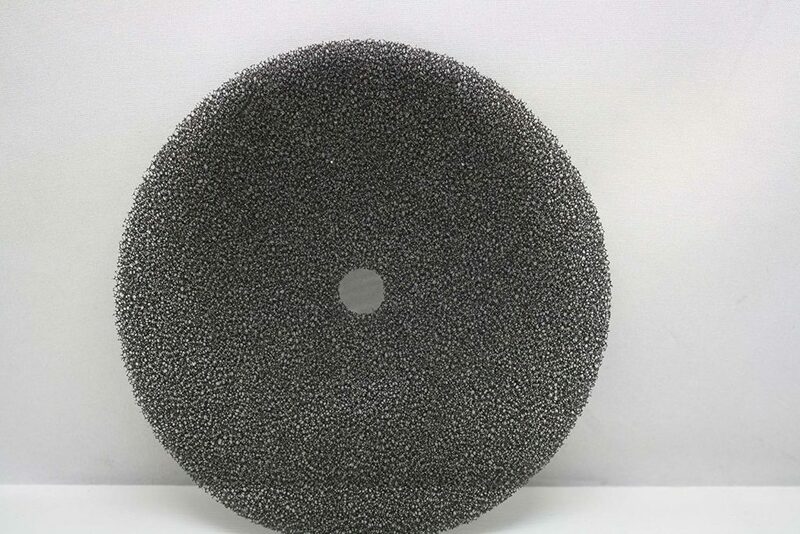 Moving parts are already prone to issues, and this moving part might be hundreds, or even more than a thousand, pounds. In other words, running into issues with your slide-outs is an inevitable fact of physics, eventually. Keeping your slide-out arms and mechanics well-oiled is the first step to preventing sticky situations in the first place. But once you’ve got a busted slide-out on your hands, you may need to turn to a professional to help resolve it. Before you do, however, you can at least try to discern what, exactly, is the problem. In some cases, an electric slide-out that won’t, well, slide out may be due to a very simple and self-solvable issue, like faulty wiring or a weak battery. Barring those kinds of physical problems, you may be dealing with an electrical issue or not having enough power to get the slide-out to go. If you’re comfortable with doing so, check for a blown fuse or wiring issues. Taking care of these may resolve the slide-out problem. If there’s such a thing as the RVer’s boogeyman, it’s unwanted water. Yes, it’s the source and sustenance of all life… but it can also spell a quick death for your RV’s interior and sensitive systems. Since RVs are, after all, structures that move frequently, eventual water damage is almost a given — though build quality and keeping up with your maintenance schedule both go a long way toward putting that eventuality off. Checking for water leaks on a regular basis is the best way to get ahead of the problem, because you’ll detect leaks while they’re small enough to still be repaired… as opposed to finding yourself in a soggy situation. Where might these leaks occur, you wonder? And where should you focus your leak-finding efforts? Look anywhere your rig has seams, seals, and moving parts, paying particularly rapt attention to windows, doors, and slide-outs. The place where your walls meet your ceiling is also a good spot to scope out, and don’t be afraid to open cabinets that may be hiding stains and soft spots. Using your eyes is good, but running your hands along those walls is even better: if you feel something give, it might be a problem. 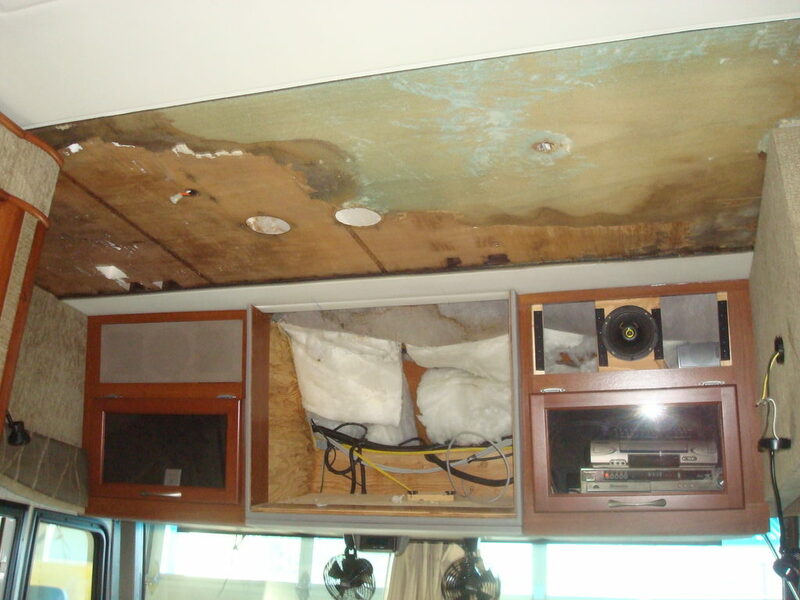 Keep in mind, also, that certain types of RVs are more prone to water damage than others. For instance, one of the reasons Airstreams keep so well is because their hand-built, aluminum frames tend to resist water better than prefabricated fiberglass models. The same can be said for Casitas, which don’t have that vulnerable seam along the top wall. Having access to a fully-functional kitchen on the road is one of the best parts of RVing. Cooking your own gourmet meals can help you stay healthy while you travel, not to mention saving you boatloads of cash. Make sure your RV is level. Once everything’s straightened out, it’s time to determine if your RV refrigerator is working at all, or if it’s totally kaput. The best way to do so is with a thermometer, but you can also press your hand against the place where the cool air usually comes out in the main refrigerator compartment or freezer. In some cases, you may find that your freezer is fine, but your refrigerator is warmer than expected. In most RVs, cool air starts in the freezer before circulating into the main refrigerator compartment courtesy of the evaporator fan and diffuser, either of which could become stuck or get clogged with ice. If your frozen goods are sitting pretty but your main fridge area is looking a little limp, this might be your problem. Listen to your evaporator fan to ensure it’s running, and visually inspect the diffuser, which is usually in the upper, rear center area of the main fridge compartment. Sometimes the evaporator fan cycles on and off or turns off automatically when you open the door, so give it time, and listen through the door if possible. It may be possible to dislodge stuck parts yourself, or to replace them if they’re entirely broken. You can also check to see if your RV refrigerator will work on a different power source. Most RV refrigerators can be run on the liquid propane that fires your onboard generator or through a traditional electric current. 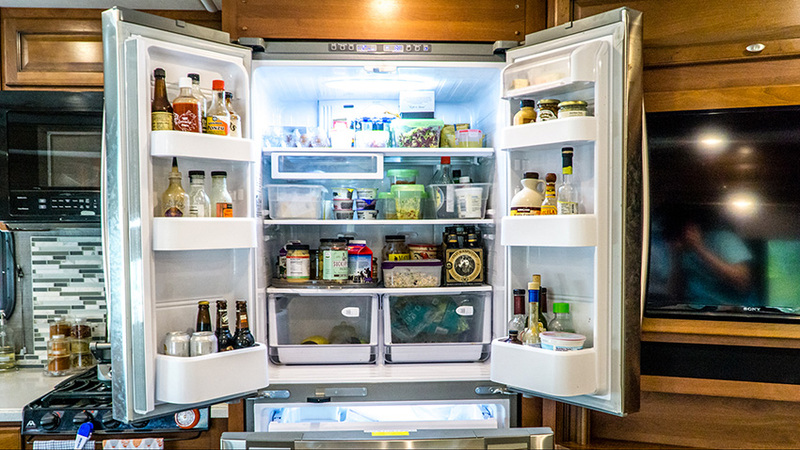 If the fridge is on electric mode and not working, try switching to LP — if things cool down, you could have an electrical wiring issue on your hands, rather than a refrigeration issue. Another common RV fridge issue: the cooling has stopped, and you whiff the acrid smell of ammonia. Since most RV refrigerators cool air by using a chemical coolant, this scenario usually means there’s a leak in the system, and chances are you’ll need professional repair help or even a replacement. And usually, your rig’s onboard water heater keeps things nice and toasty. But when your taps run cold, it’s not necessarily a reason to panic… though it might be a reason to put off washing your hair until you figure out what, exactly, is going on. One of the most common errors that causes a hot water heater issue: forgetting to return the bypass valve to its original position after winterizing your RV. If you’re headed out for a springtime jaunt and you suddenly find you’re without hot water, be sure to check the bypass valve to ensure it’s in the correct orientation! Another easy fix: check for other open faucets in the rig. If your kitchen sink’s running hot water, the shower will only run cold, and vice versa… and besides that, you’re wasting water! If your RV’s water heater is making noises, listening closely can help you determine the source of the problem. A high pitched whine might indicate calcium deposits are forming on the heating element, which can lead to corrosion — no good. On the other hand, a whistling noise could indicate there’s something stuck in the check valve. Hot water heater issues can also be caused by faulty parts that could need replacing, like your thermocouple or gas control magnet. You should also check the pilot light and clean or replace the pilot orifice as necessary. And just as with HVAC issues, your water heater is controlled by a thermostat. That’s how it knows exactly how hot to heat the water, and when to click on. It’s totally possible that the thermostat itself is the issue, rather than the actual heating elements. 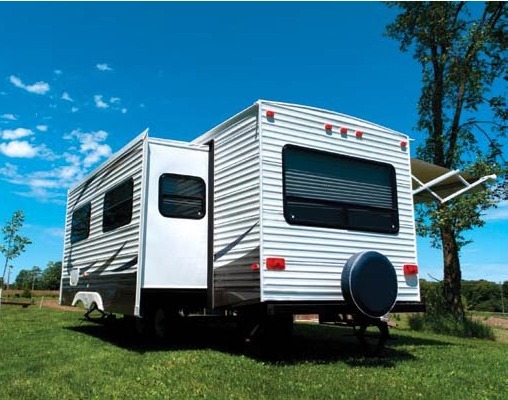 From tip to toe, RVs are filled with all sorts of electronic gadgets that make camping easier and more convenient, both in our interior fixtures and in the mechanical elements that make our rigs go. But the extensivity of that system is part of what makes these common RV electrical problems so frustrating. If you aren’t a wiring wizard, it can be difficult to know where to start — not to mention dangerous. 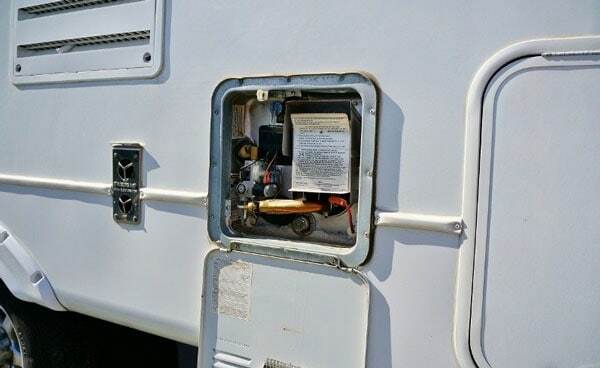 Fortunately, troubleshooting certain RV electrical problems doesn’t require a degree in electrical engineering… though it’s always better to be safe than sorry if you’re at all uncomfortable with performing these tasks. As anybody who’s ever accidentally zapped themselves knows, electricity is really powerful. (That’s the point, isn’t it?) So when in doubt, stay safe and hire a professional. When you encounter an outage or other electrical annoyance, one of the first places you should turn is the same as it is at home: your breaker or fuse system. If you drive an older travel trailer or motorhome, chances are you’ll have fuses; the newer your rig, the more likely you’ll have breakers. Sometimes, simply tripping the breaker or fuse will fix the problem, at least temporarily. (These issues can sometimes indicate a larger, unresolved problem — a symptom rather than the cause.) Keep in mind, too, that the breakers themselves can go bad and need replacing. However, it’s important not to try to DIY an upgrade to your fuse system, which was designed specifically with your safety in mind — no matter how old and seemingly-outdated it is. After checking the breakers and/or fuses, you can also look for minor wiring issues, unresponsive outlets, and other simple solutions that can explain why something in your rig isn’t powering up. 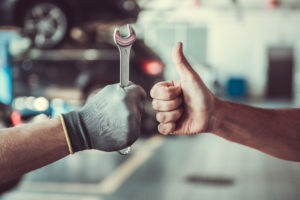 Loose connections or overworked batteries can sometimes be the simplistic root cause of a seemingly-complex situation. (Psst: if you need to top off the water in your batteries, always be sure to use distilled water only, which will help you avoid corrosion.) 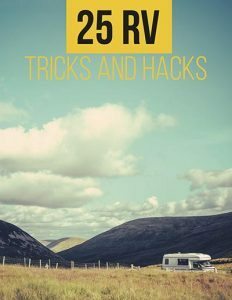 You might also be having problems with your RV inverter, which transforms 12-volt DC power into 120-volt AC power, which your air conditioner, refrigerator, and other appliances need in order to run. Finally, don’t forget that your RV electrical issues could be coming not from the rig itself, but from your outside source of power. For instance, the shore power line you’re connected to could be providing too little power or too much, which can not only make it impossible to power things up but can also potentially surge and fry your systems, which can make for a decidedly nasty repair bill! Always ensure you’re hooked up to the right level of power — usually 20, 30, or 50 amps, depending on the size and model of your rig. And if you aren’t sure about how well the power coming from the ground source is regulated, consider testing it with a multimeter before you plug in… and be sure to use surge protectors in order to safeguard all your expensive electronics. 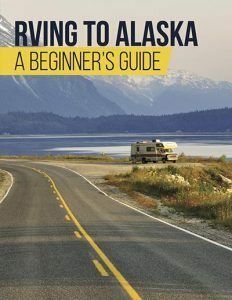 Obviously, creating a comprehensive list of every single issue you could encounter while RVing would be impossible — and besides, even the seemingly-annoying occurrences are all part of the adventure. Just remember: no matter how proficient you are at DIYing your repairs, there are always some issues where it’s a better idea to hire a professional. Shelling out a little bit of cash is a way better solution than hurting yourself. Safe, happy, and trouble-free camping to you!